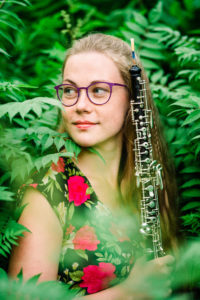 The general public learned about oboist Ingely Laiv thanks to the popular TV competition ‘Klassikatähed’ (‘Stars of Classical Music’), where she won second place and the ENSO special prize. In 2018, Ingely Laiv graduated with a Bachelor’s degree from Karlsruhe’s University of Music in Professor Thomas Indermühle’s oboe class. Currently, she is the principal oboe in the Orchestra of the Estonian National Opera. Mozart’s oboe concerto, which she will perform, is one of the most-played oboe works. The soloist sees the piece as technically very demanding. For the first time, ENSO will be conducted by the Italian conductor Giordano Bellincampi, who has lived most of his life in Denmark. He is the principal conductor of the Auckland Philharmonia Orchestra (New Zealand). Previously, he has been the principal conductor of the Kristiansand Symphony Orchestra (Norway), the Copenhagen Philharmonic Orchestra and the Danish National Opera in Aarhus.